When owning a small home, space is often one of the most important design factors. Much of the property’s interior will be focused on maximising the available room, using features to highlight space and create an open feel to an otherwise closed area. When dealing with a small home, every care has to be taken to maximise its potential, and that does not stop at wallpapers and furnishings. 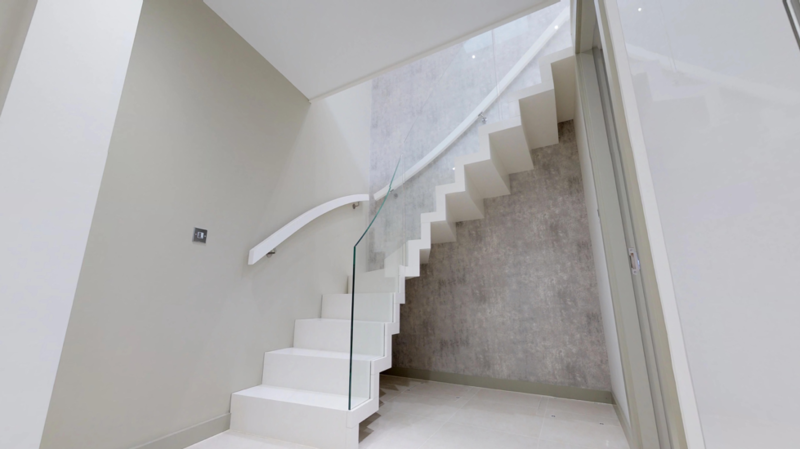 The staircase plays a vital role in the property, yet in smaller homes, it can often feel like a large and divisive part of a house’s design. However, this is usually less down to the limits of the property and more to do with the style of the chosen staircase. By opting for a smart stair design that works with the rest of your home, it is possible to not only create more space physically but also give your home a more open, spacious feel for both guests and family. Here are some basic stair designs that can work wonders for small spaces. Whenever designers are looking to maximise space, a minimalist interior is the first choice. This style makes it possible for only a small number of decorations to have a considerable effect on the outlook of the home. Minimalism in a design, choice of colours, and careful decoration can easily be adopted for staircases. In the past we have gone into detail about creating a minimalist style with stairs, but in reality, it is a simple process that usually involves stripping stairs back to their bare necessities, or removing the old staircase altogether. While your new staircase might follow the same path as your old staircase, a minimalist design will open up the space by freeing the room it was previously using. Meanwhile, the increased light that will flow through the extra space will help to give a small house a much more spacious feel. Minimalist stair designs are usually as light as possible, meaning the quantity of materials used for its construction is reduced to its bare minimum. Usually, this effect is achieved by constructing a floating staircase with risers or floating steps only. For such constructions, the most preferred materials are light timbers, including naturally light hardwoods, varnished hardwoods and white painted timbers. Minimalist stair constructions are beautifully complimented by balustrades made of glass or stainless steel. If you are looking for a change to your stairs that will unlock considerably more space, then it might be worth considering the physical layout of your staircase. A lot of small homes still use straight staircases, often because these can be narrow and hidden, blocked away from the rooms around it. This design can have the detrimental effect of dividing the home, creating more walls that restrict your house’s potential. 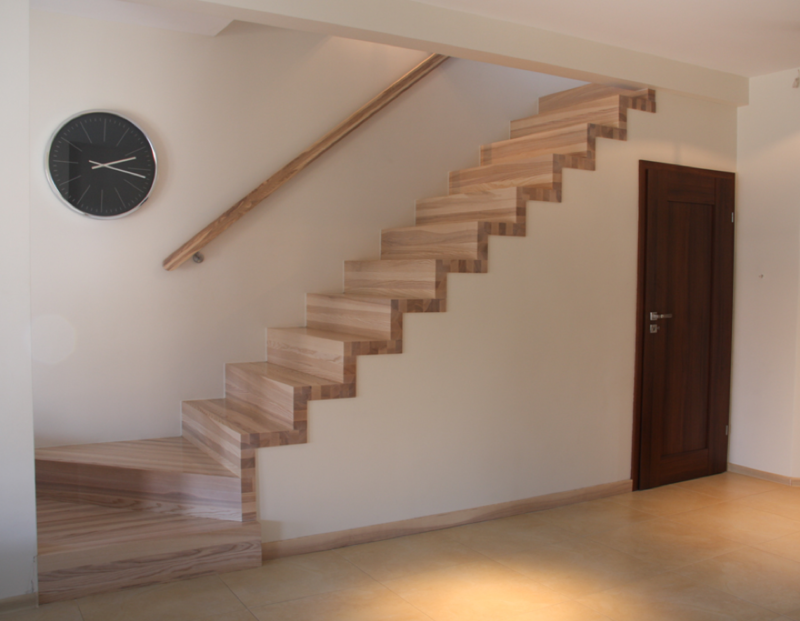 If there are walls that can be removed in order to open up the stairwell and bring your new staircase to life, it may be worth considering. This desire for space is what has led to an increase in spiral staircases in the past. A spiral staircase can use considerably less space than a straight staircase and can open up more of the property. However, the disadvantages of narrow spiral stairs are considerable. Narrow spiral staircases restrict people flow, it can be difficult climb and carrying any objects up or down the stairs can also be a challenge. If this causes a problem for members of your home, then a well-designed double winder staircase with a bespoke under stair storage can be an ideal solution. This way, you can utilise a small stairway and its space underneath to its full potential. Stairs can take up a lot of room in a small home, and it is often a difficult task to redesign the pathway of a staircase when space is limited. Therefore, it is always worth considering what can be done to further integrate the stairs into the flow of the property, beyond its natural use. Many homeowners are looking at creative ways to use the spaces taken by a staircase, particularly the room underneath the stair. By turning previously neglected locations such as this into bespoke storage solutions, you can create a great amount of extra space in your home. Under stair storage does not have to be boring. If you consider opening up one side of your staircase into the room, your under-stair storage solution can be stylishly incorporated into the space. The design options are vast, as the under stair storage can comprise of divided storage rooms, drawers or shelving units in a most desirable combination. Integrating the staircase into the house like this can often add style and originality, helping not only in synchronising different parts of your home, but also in accentuating your new, smarter staircase. These are just some of the stair design ideas that could help to free up room in your property. Our made to measure stairs can unlock the flow of your small home and utilise the available space to its full potential.